Why do I need Secure Will Storage? Now that you have made the important decision to make a Will. 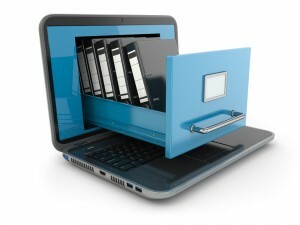 It is essential that these valuable legal documents are stored securely and can be found at the time of need. Unless you have a safe or other means of protecting your Will from threats such as fire, theft, and flood. We recommend you use a secure Will Storage Service to keep your Wills safe. We offer a storage facility that will store all your Will documents at one central secure location. Putting your mind at rest that they are safe and secure protected from fire and Water damage. Once we have checked that your documents have been executed correctly. They are placed in a storage envelope with all of the information completed. Once received at the Storage facility you will receive confirmation of storage in the form of a storage certificate. Along with the provision of executor storage certificates for your chosen executors. Our Secure Will Storage service is backed by professional indemnity insurance. If you would prefer to have your Will close at hand and wish to store your Will at home then it’s still important to protect it from fire, flood, and theft. You may want to consider investing in a Fire and Waterproof Deed Box. Having such a box would also allow you to store and protect other important items such as passports, birth certificates, marriage certificate, title deeds and any other important documents that would be hard to replace if the worst happens.